Though it never quite reaches a state of being autumnal in Phoenix, there’s no reason not to celebrate the spookiest time of the year: Halloween. If you love decorating your home with skeletons, ghosts, bats, and jack-o-lanterns, then you’ll want to make time to get out to these Halloween-flavored events and happenings. One of the most unique seasonal celebrations in the country is the Salt River Fields Spooktacular, which sees more than 20 hot air balloons out on display and passing out candy to the kiddies. In addition to live music and plenty to eat and drink, there will be fireworks, tethered balloon rides, and a haunted trail. Speaking of haunted attractions, they don’t get much cooler than 13th Floor Haunted House, the premier haunt in all of Phoenix. This year’s event consists of two unique attractions: “The Possession,” which follows the thread of the blockbuster film by putting you face-to-face with a terrifying nun, and “In the Shadows,” where you will visit the aftermath of the PL4-GU3 virus and come into contact with those infected by it. If you have a young one, you may want to leave them at home — children under the age of 12 are not advised to attend. 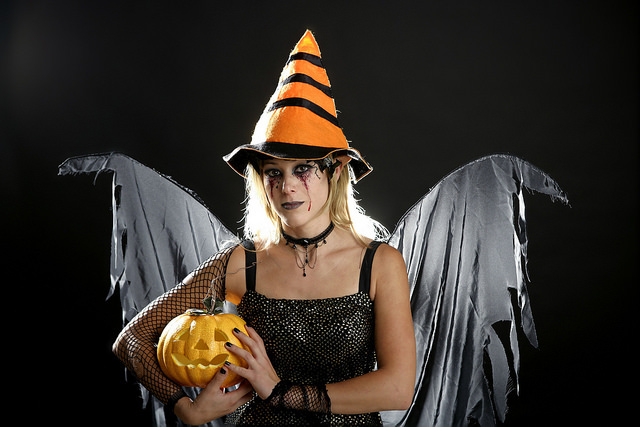 These are just a couple of examples of the fun goings-on to experience in Phoenix this Halloween. For a reliable ride to get you to it all, stop into Sanderson Ford. If you’re expecting a white Christmas, Glendale isn’t exactly the place to be. However, there are still some great local winter events that can help you get into a festive mood this holiday. Arizona doesn’t usually get much in the way of ice and snow – so Glendale’s Winter Wonderland brings artificial snow and frozen water right to you. Head to Murphy Park for ice skating and making snow angels, two rare pastimes to experience right in the heart of Glendale, Arizona. What are the holidays without some festive light shows to attend? 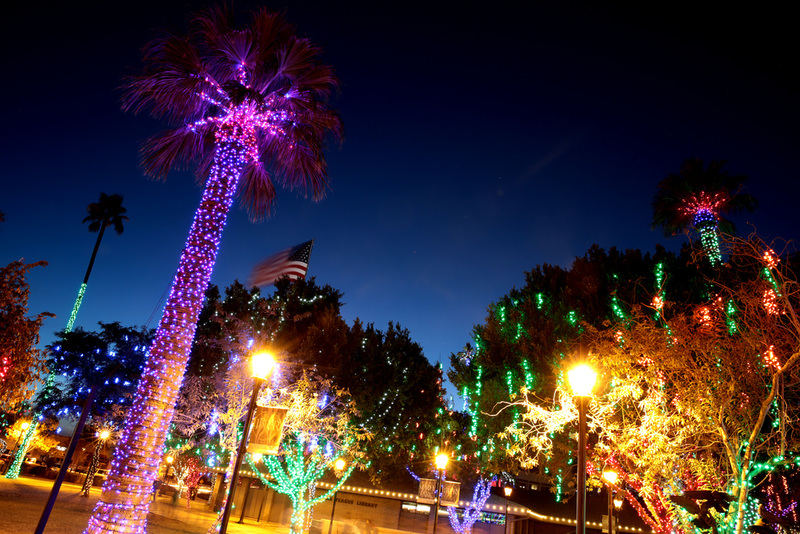 Head to this award-winning light show for some family fun in Historic Downtown Glendale. Featuring 1.5 million LED bulbs, this attraction starts November 24th and continues through December. On November 10th, you can head to Gila River Arena for a great music festival full of family-friendly music at Winter Jam. It’s only $15 to get in, and military and veterans gain free admission in honor of Veterans Day weekend. Artists like Family Force 5, Mac Powell, and more will be performing live. Check out these local winter events in Glendale, Arizona for a fun and engaging Christmas season to suit the whole family. Stop by Sanderson Ford and let us know how it was! Labor Day weekend will be here before you know it, so it’s best to start making plans now. We here at Sanderson Ford have a few recommended events to help plan your Labor Day weekend in Phoenix. Explore the desert on the water on the Dolly Steamboat Narrated Cruise. The 90-minute cruise offers a unique look at the canyon walls and desert wildlife. The cruises began in 1925 and the Dolly Steamboat has been ruling these waters since 1983. Narrators will cover everything from natural facts to legends from the Apache tribes. The Hummer H1 is a capable vehicle (second to the Ford F-150 Raptor) that can take on terrain that would leave many vehicles disabled and stranded. 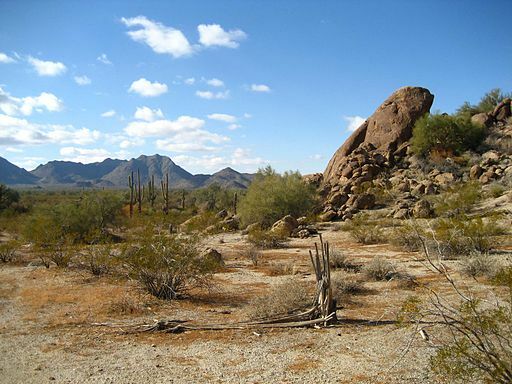 The Sonoran Desert Hummer Adventure Tour offers an exciting look at the natural terrain surrounding Phoenix. Several tour options allow Labor Day weekend visitors to choose the one that most interests them. Learn more about the area’s history or hear Apache legends surrounding the Superstition Mountains. Learn more about guns and shooting, then take to the range and unload a few magazines yourself this Labor Day weekend. An NRA-Certified Range Safety Officer will take your through a crash course, then put a variety of guns in your hands. Ranging from the Glock 9MM to the AK-47, the Basic Shooting Experience is perfect for a thrilling Labor Day weekend.